Kinder Morgan owns or runs 26,000 miles of pipelines throughout Texas. FREDERICKSBURG, Texas (AP) — Landowners in Texas Hill Country are scrambling to figure out how to reroute or stop a $2 billion natural gas pipeline proposed by a Houston-based company. Kinder Morgan is surveying the Permian Highway Pipeline's possible route running 430 miles from the Permian Basin oil and gas field in West Texas to a location near Katy, a Houston suburb. But property owners in Hill Country are looking into their rights and the company's ability to utilize eminent domain, the San Antonio Express-News reported. Allen Fore, a Kinder Morgan spokesman, said the company will work with landowners to make route adjustments. Kinder Morgan owns or runs 26,000 miles of pipelines throughout Texas. The company has already contacted the owners of nearly all the 1,070 properties across the 16 counties that the pipeline would cut through, Fore said. If the company receives all needed permits and approvals, it hopes to begin construction this fall and be in service by late 2020. The project will be reviewed by state and federal regulators, including the Texas Railroad Commission, the U.S. Fish and Wildlife Service and the U.S. Army Corps of Engineers. The Texas Railroad Commission registers pipelines as common carriers, which allows them to take control of private property through eminent domain delegated by the state. Oil and gas companies' ability to use eminent domain keeps the industry functioning in West Texas, said Ryan Sitton, the agency's commissioner. Without it, one landowner could shut down an entire project, Sitton and Fore said. The legal framework created by the Texas Legislature and state courts makes it difficult to win a challenge to stop the pipeline company entirely, said Luke Ellis, an Austin-based attorney representing landowners potentially affected by Kinder Morgan's proposed pipeline. Because pipeline easements are permanent, Ellis said property owners have one chance to get the best easement terms and the highest amount of just compensation possible. Hank Sauer owns 45 acres near Fredericksburg in Gillespie County, where the largest number of landowners that could be affected by the Permian Highway Pipeline. Sauer has been trying to sell his land but recently took it off the market because his property's interest dropped after Kinder Morgan announced the project in June. 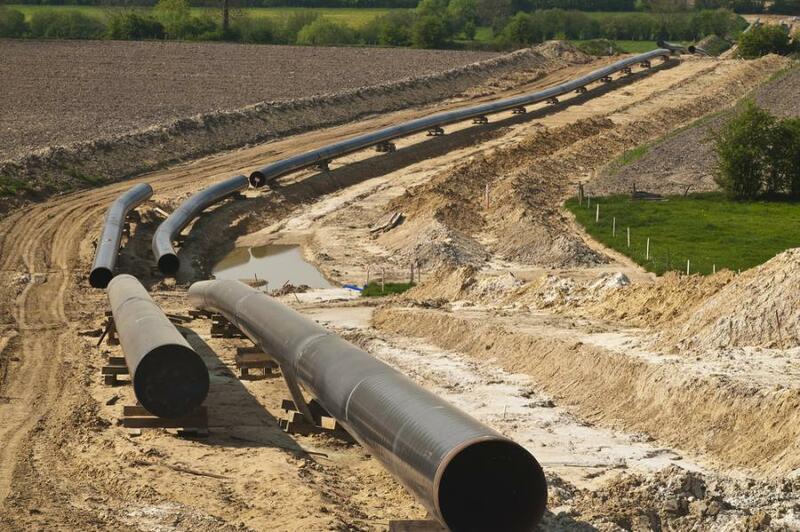 "We have no ill will toward pipelines — they're needed," Sauer said. "But put them somewhere where they're not going to destroy lives and destroy people's communities."